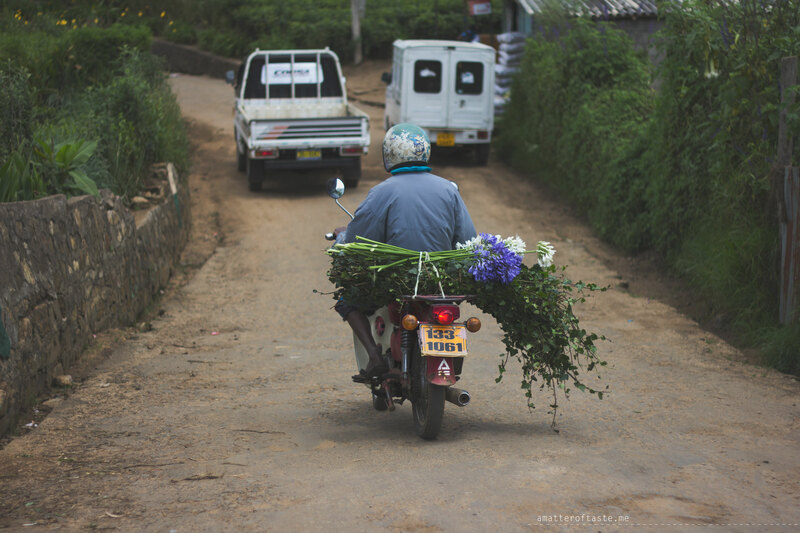 Our tuk tuk driver, big fan of Disney princesses, was the second one we asked for a good price to the Pedro Tea Estate. The first one wasn’t interested in driving us up there for less than 900 LKR return. 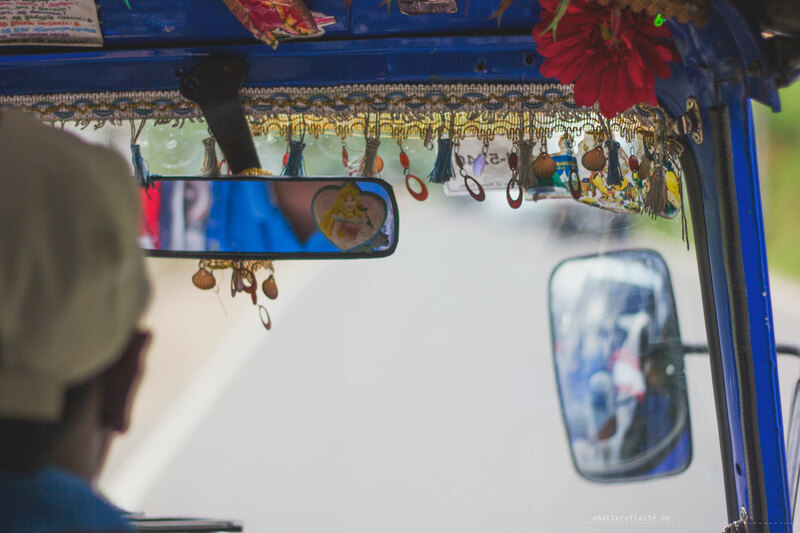 The second one was happy to do a one way trip for 300 LKR. Factory doesn’t operate on Mondays (yes, we were there on Monday) but tours are available. We wouldn’t see much more during any other day, because all the interesting machines, cutters and dryers, work only during evenings and nights. Tea they process there is one of the lightest in colour and needs colder conditions to be prepared right. In general, our tour wasn’t impressive. We didn’t learn much, we couldn’t take photos in the factory and we had to wear hair covers and aprons that made us sweat more. But for 200 LKR/person you can’t expect much more. 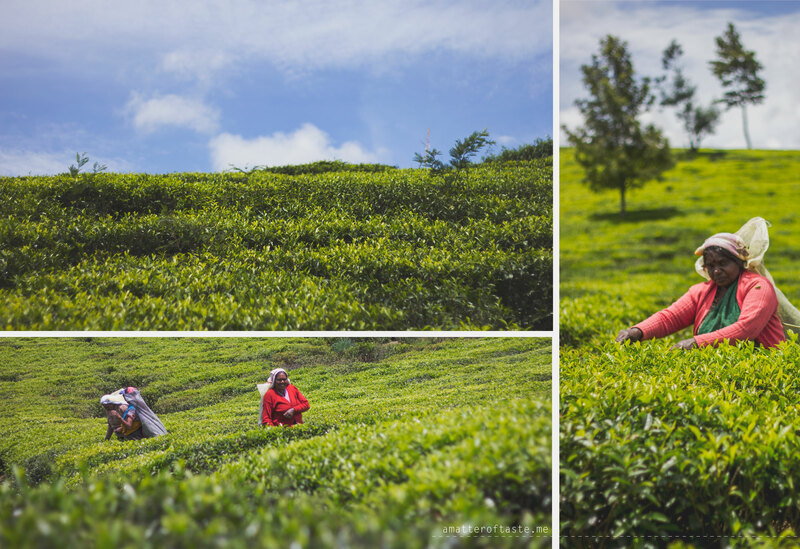 There is also a tea tasting after the tour but we skipped that and went out to the fields to finally see some action. My great plan to climb the hill and see from the top where the tea pickers are didn’t turn out to be the best. We spent all our energy on the way up and realised we not only forgot to bring water, but we also forgot the estate, ESTATE!, is hectares big. We couldn’t see it all from that one hill and the tea ladies could be anywhere. So we walked back from the other side of the hill, tired and sad, decided to head back to our hotel. After crossing the gates and walking to the main road I thought my eyes were tired. But after another glimpse I was almost sure those little white spots far, far away are moving in the sea of green. The tea ladies! And suddenly we found more energy to go there. When we were walking there, we were saying how difficult it must be for them. Spending all days exposed to the sun, rain, humidity and wind. I expected to see a group of tired women but instead I saw just regular ladies, talking, laughing and looking perfectly happy. They waved at me and posed to the photos. What a marvelous experience. 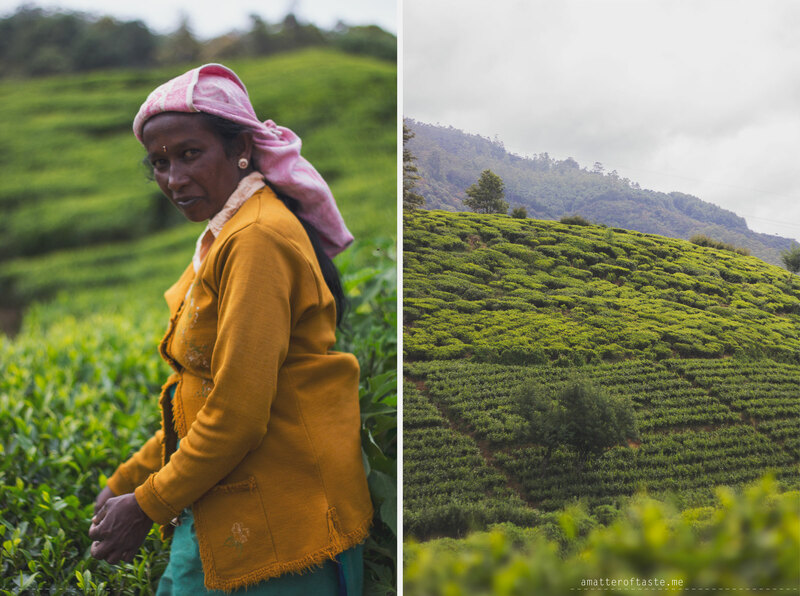 Ever since I met Dilhan Fernando of Dilmah Tea I’ve wanted to see a tea estate. The way he described it I was so eager! Thank you Kristina. Have fun in Sri Lanka!